Applications are now open for ADM’s 2018 Annual Funding Event. Are you a Christian woman with an idea, initiative or project that needs funding? How could you use up to $25,000 and your God-given gifts for the good of the world? 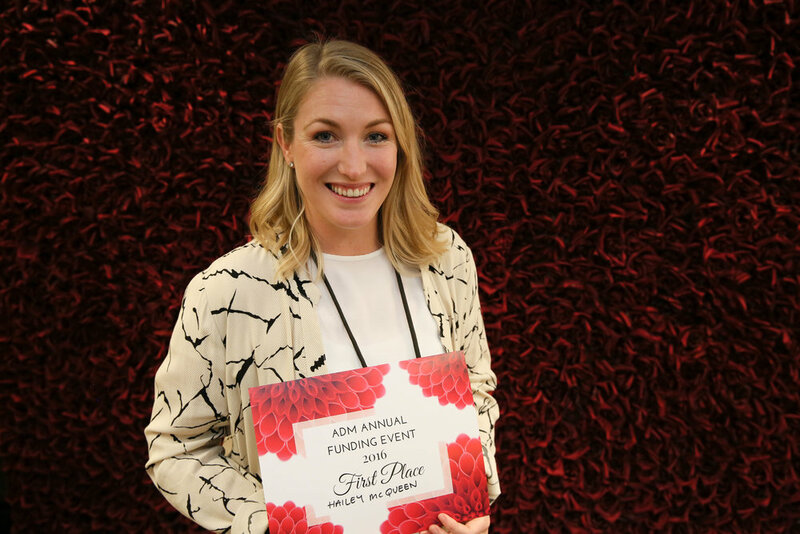 Now in its third year, ADM’s Annual Funding Event provides an opportunity for entrepreneurial Christian women to bring their ideas and initiatives before a panel and pitch for funding. In 2018, the Annual Funding Event will be held on Wednesday, 19 September. Funds will be awarded in three categories, based on ADM’s core program areas: ‘Form’ (theological formation), ‘Engage’ (public engagement) and ‘Do’ (mercy and justice ministries, or mental health and pastoral care). A fourth category, ‘Ideas’, will allow women to receive feedback on their ideas for an organisation or initiative that has not yet been created. The first-place winner across the ‘Form’, ‘Engage’ and ‘Do’ categories will receive $25,000, while prizes of $12,500 will be awarded to winners in the other two categories. Every woman who is selected to pitch on the day will receive $1,000 towards her initiative. Applications for the 2018 Annual Funding Event close on 5 August 2018. Find out more or apply here. Hailey runs the theatre company Clock & Spiel Productions, and won funding from ADM in 2016 for her production and multi-city tour of The Screwtape Letters. This widely acclaimed play brought C.S. Lewis’s popular book to almost 5,000 audience members across Australia. As a result, it opened up many in-depth conversations about sin, temptation, God and salvation. Penny Attwells (left) accepts her award from Margo Leach, ADM's Director of Mercy & Justice Ministries. 2017 Mercy and Justice Winner – Penny Attwells, Iysha Inc.
Penny is the founder of Iysha, a non-profit dedicated to helping women trapped in human trafficking in Australia. Iysha aims to empower and restore women who survive human trafficking by placing them with ‘safe families’ for periods of time. Many survivors are currently waiting for NSW priority housing or attempting to secure private rentals, and Penny hopes that that Iysha will provide them with the final step that they need before transitioning to independent living. Erica Hamence (centre) with ADM Board Director Rev. Phil Wheeler (left) and Gillian Davidson (right), previous Chair of ADM's Board. Common Grace’s SAFER resource, designed to equip Australian churches to understand, identify and respond to domestic and family violence, received funding in 2016. The resources have now been released, and Erica and others from Common Grace are hard at work, ensuring all churches know about the resources. Emu Music exists to bring theologically-sound worship music to churches. Their youth division (Emu Youth) is led by singer/songwriter Olivia Chapman, who pitched for funding for a new album at the 2017 Annual Funding Event. Olivia was successful, and, in May 2018, the album was recorded. Do you have an idea that could make a difference in the Kingdom? Apply now!